With Microsoft providing Sticky Notes for free, and multiple free- or low- cost options available, what does Notezilla 8 have to offer to justify its $30 price tag? As it turns out, a whole lot. Notezilla pushes the bounds of the sticky note category to their limits, edging close to freeform text database/outliner territory. 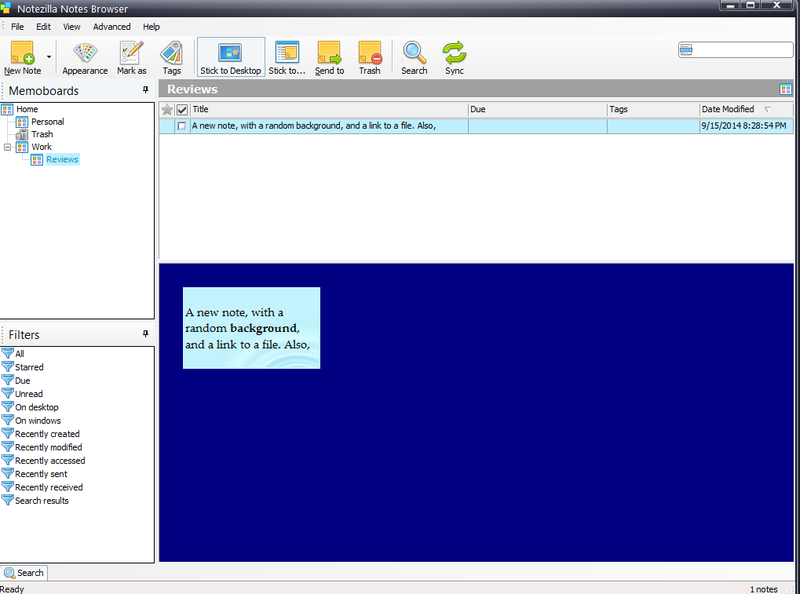 Notezilla notes have toolbars, titles, and scrollbars. 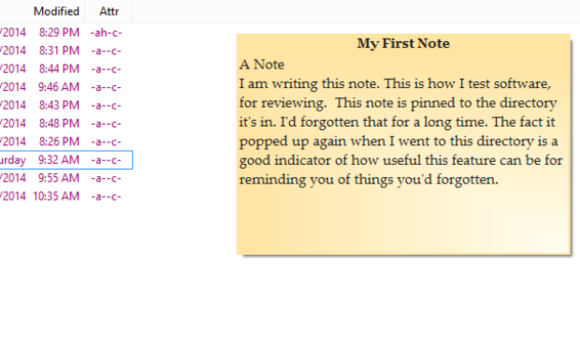 One of my favorite Notezilla features is the ability to pin notes to specific windows or Web pages. When you bring the page or window to the front, the notes appear; when you change your focus, they go away. There's a noticeable two-to-three-second delay between appearing and disappearing, which might be annoying if you go to a page or window primarily to see the note (as opposed to having the note appear to enhance the object you're looking at).Since PCWorld last reviewed Notezilla, much has changed. The most useful new feature in Version 8 is syncing notes across multiple devices. Jot down a phone number on your laptop at work, see it on your desktop at home. Notezilla also enhances older features (greatly expanding the capacity to stick notes to Web pages and directories), and adds many new ones, including hierarchical lists within notes, pop-up reminders, searching in a single note, and password protection/encryption on a per-note basis. 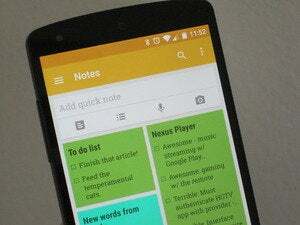 The Notes Browser allows you to work with all your notes at once. Click to view full image. You can arrange notes into memoboards, which you can in turn organize in a hierarchical fashion. Memoboards appear within the Notes Browser, a feature that lets you view, sort, and filter all of your notes at once. It's the Browser that pushes Notezilla's functionality up to a level above most of its competitors, as it becomes a tool for arranging multiple snippets of information via metadata such as tags and hierarchy. This gives it functionality akin to some basic outliners and makes it practical to have dozens-or hundreds-of notes, as you can drill down to a subset of them quickly, or have them arranged and grouped by topic. 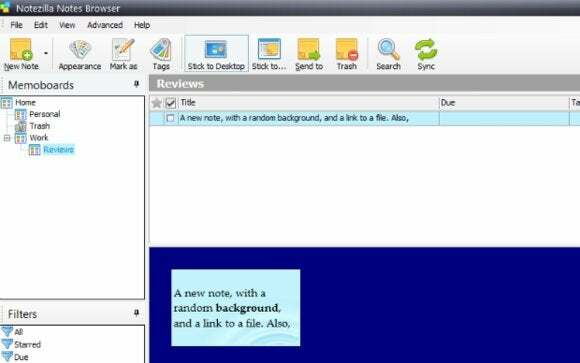 Notezilla notes can include links to files or Web pages. Each note you create with Notezilla is highly customizable, offering fonts, styles, multiple-level lists, different background colors and textures (which you can se to assign meaning, such as making all the important notes red, or as purely aesthetic choices), and links to disk file or websites. You can even insert pictures in BMP, GIF, JPG, and PNG formats. What else? You can assign due dates to notes in Notezilla, and the notes will pop up to alert you when the time comes. You can email them, print them, or save them. Nearly all of this functionality is available in each note via either a right-click menu, or via a small menu button in the corner of the note. The window menu mostly addresses whole-note options such as transparency or send-to, and the right-click menu focuses on formatting the text itself. You can, of course, resize notes, or roll up a note to show just its title, or hide all notes. Setting up hotkeys to do this is necessary to get the most out of Notezilla, and there's a straightforward editor to let you assign such commands as you see fit. You can attach at notes to a window, so you see it only when it's applicable. Click to view full image. The standard cost for Notezilla includes a two-machine (one user) license, and a one-year subscription to vendor Conceptworld's syncing service. Versions of Notezilla for Android and iOS are coming soon. The trial of Notezilla is full-featured, without obvious nag screens or "gotchas" where seemingly-enabled functionality produces a "Buy now!" dialog. With a full 30 days to evaluate it, there's plenty of time to integrate it into your workflow. If you need to track many small bits of information, especially if the information logically clusters into sets of related, but not structured, data, Notezilla could be a powerful Sticky Notes alternative. The full-featured trial gives you 30 days to see if Notezilla becomes part of your workflow—and if you work with lots of disparate facts, it may do just that.